I've had this on cassette for over 25 years. Now YOU can have it on CD. 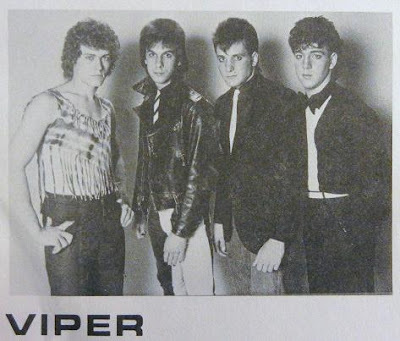 Viper was a band from Chelsea, MA that I used to go see in the mid-80's. I was too young to go to the clubs but they did free shows in Chelsea that I attended. I used to have a bootleg of one of those shows that I recorded when I was around 11 years old. That tape is long gone. I did make a copy for the band but they probably don't have it either. It was surprisingly a good sounding bootleg too (which also included their answering machine message too). I wish I still had it.